I think you’ll agree when I say that lower back injuries are a major issue in the distribution and manufacturing industries. These ailments costs businesses in these industries untold thousands of dollars a year in workers compensation settlements alone. Thankfully there is a back safety training program that has been proven to work time and time again in the distribution and manufacturing industries. Two separate case studies will be discussed in this post. One that deals with grocery distribution centers and one that deals with manufacturing plants. These studies prove just how much this material handling safety training can save a company like yours. PowerLift® back safety training has seen so much success in the 37 years since it was established simply because it works. The patented PowerLift® lifting techniques focus on using the power in your legs and keep the strain off of your lower back. 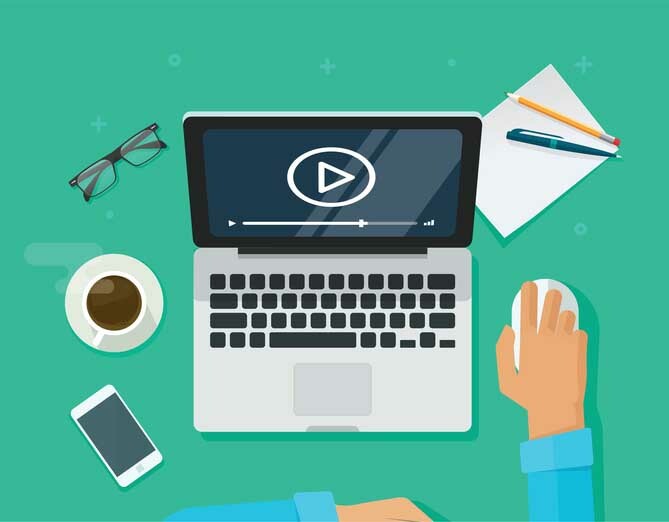 Most back safety training programs teach methods that are impractical and slow which most often leads to employees reverting to the dangerous back lift. Other back safety training programs teach what is called a squat lift, which puts the user on his or her tip toes, making it impossible to use their legs full strength. Powerlift® offers methods which keep employees safe without slowing production. A national brand, retail grocery chain has had a long standing relationship with PowerLift® and has collected data in order to track the effectiveness of the PowerLift® training program. This company recognized they needed to control their material handling sprain/strain injuries and incident rate. This led them to contact PowerLift®, who has a long history of training grocery distribution centers. At all 9 distribution centers the PowerLift® Train-the-Trainer program was implemented. This Program takes a core group of employees and trains them to train the rest of the employee population on the PowerLift® techniques. This training system also offers the consistent reinforcement and personalization that typical back safety training programs generally do not. After a year and a half of implementing the PowerLift® lifting techniques and consistent emphasis on material handling safety through industry tailored safety talks results were collected. 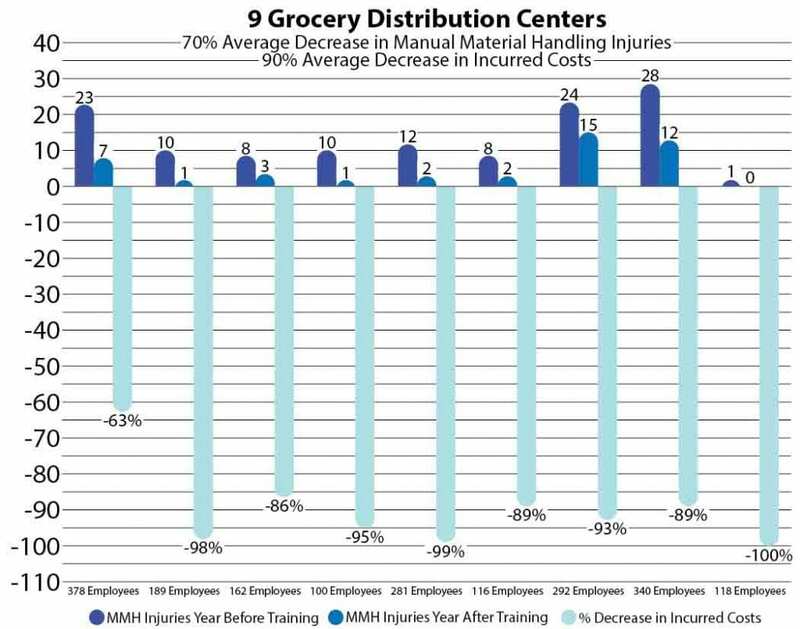 The case study showed us that the 9 distribution centers which implemented the PowerLift® program saw a 70% decrease in the incidence of material handling sprain/strain injuries and a 90% decrease in incurred work comp costs. The second material handling safety case study involves two manufacturing plants located side by side that share similar ground operation equipment and materials. This location also was trained using the Train-the-Trainer, which led to the training of more than 2000 employees. Such a large employee population required certifying nearly 40 trainers and took about six months to get both facilities fully trained. A culture of material handling safety was quickly established and was understood to mean “we do not back lift at this facility, we only use PowerLift”. The result of this case study has been the reduction in expenditures, both direct and indirect due to all material handling strain/sprain injuries saving the two companies approximately $370,000 per year and $0 spending on loss time, material handling injuries for 8 years in a row. The first year after PowerLift® was implemented these facilities saw a 22% decrease in reportable injuries and by the next year they were able to report an 87% decrease for these types of injuries.